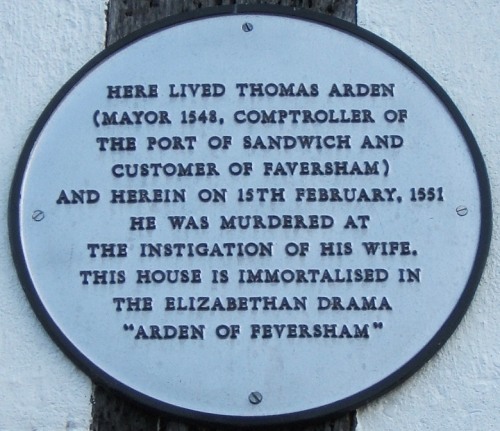 The murder in 1551 of Thomas Arden, the 1548 Mayor of Faversham, by his wife inspired the first English domestic drama, Arden of Faversham. Arden, who lived in the former Faversham Abbey's guest house (Arden's House, Abbey Street), was killed in his parlour by Alice Arden, and her lover, Thomas Mosby, aided by two hired thugs. The events, reported in Holinshed's Chronicles, are immortalised in the 1592 play, attributed by some scholars to Shakespeare.